When you need lawn aeration and overseeding in Breinigsville, you need Green Turf. Most of the time, your lawn doesn’t need too much more than simple mowing and watering, which any homeowner can do on their own. But, eventually, your lawn is going to need more advanced services, like aeration and overseeding, and when it does, there’s no better company to turn to than Green Turf. 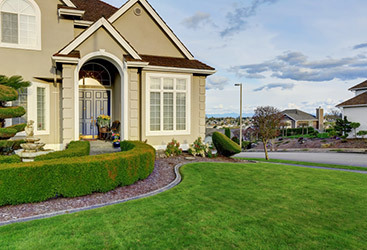 With more than 10 years of experience on our side and an unmatched dedication to excellence in everything we do, Green Turf is your premier source for professional lawn care in Breinigsville. If you love the idea of basic upkeep of watering and mowing your lawn, you can leave the tough work up to us. Afterall, your lawn doesn’t appear green in the spring and summer without a little TLC! 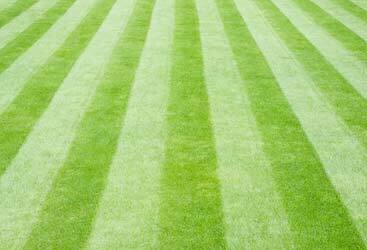 At Green Turn Care, we give you the best looking lawn that’s healthy and full while saving you time and energy! Aeration and overseeding are a vital part of your year-round lawn care. Below are some considerations for optimal law conditions come spring and summer. Aeration isn’t the most attractive lawn care service but it is critical to ensuring a robust lawn. As your lawn is used and played on by kids and pets, it becomes compacted which can impact the aesthetics of your grass. Your lawn needs to breathe, and aeration addresses this. 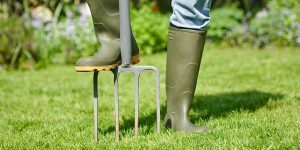 When you aerate your grass it is one step closer to optimal health, so why aerate? Overseeding is a perfect companion to aeration. This lawn treatment not only spruces up your lawn, but it’s able to correct bare patches and other lawn issues. Thicken and brighten your lawn with overseeding! Overseeding can happen in various seasons are is particularly great in in most of summer, early fall, and spring. 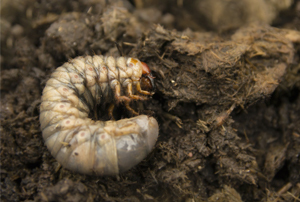 When you walk and play on your lawn, as well as push the lawnmower over it and lounge on your lawn furniture, the soil becomes compacted little by little. 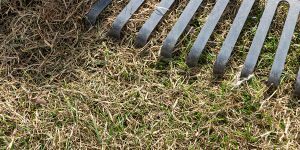 After a while, the compaction gets so severe that it makes it almost impossible for oxygen, water and nutrients to find its way to your lawn’s root system. Aeration involves pulling small cores of soil from your lawn, making it possible for the root system to breathe and get the nutrients it needs once again. Once aeration is complete, it’s the perfect time to overseed your lawn. We’ll use five pounds of premium grass seed to overseed your lawn, which will lead to thick, lush grass that helps to crowd out unwanted weeds. Contact us today for lawn aeration and overseeding in Breinigsville! 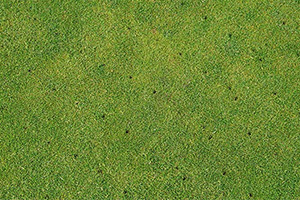 Aeration and overseeding are just some of the many services we offer here at Green Turf. As your go-to lawn care professionals, we have what it takes to provide you with the service you need to get the lawn of your dreams. Experience the difference aeration and overseeding can make in your lawn with Green Turf.